COOKHAM AND WINTER HILL A circular pub walk including open countryside, woodland, National Trust land with some fine views, a stretch along the Thames and a choice of pubs including The Jolly Farmer which appears in the Good Beer Guide and the Good Pub Guide. This is a varied pub walk starting from the National Trust car park at Cookham, taking you through open countryside and a golf course, fields and woodland and up to Winter Hill via Cookham Dean. Take in the views over the Thames before descending to finish with a stroll along a popular stretch of the Thames towpath and back into Cookham. There are many pubs to choose from on this walk and The Jolly Farmer in Cookham Dean is a favourite. Featured in both the Good Beer Guide and the Good Pub Guide, this unspoilt community pub is now owned and run by the village. Sample their sizzling fajitas or a salad of stilton, strawberry and walnut on rocket as an alternative to the traditional pub favourites also on offer. 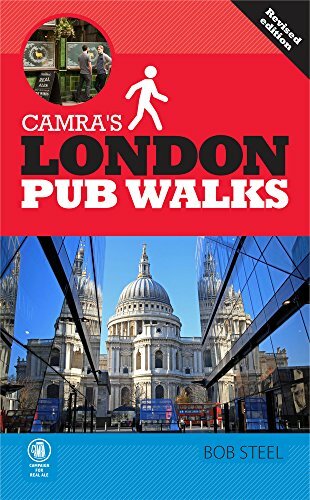 Other pubs to be found on this walk are shown under Linked Pub Walks below. COOKHAM AND WINTER HILL A circular pub walk including open countryside, woodland, National Trust land with some fine views, a stretch along the Thames and a choice of pubs including Uncle Tom's Cabin which appears in the Lucky dip section of the Good Pub Guide. COOKHAM AND WINTER HILL A circular pub walk including open countryside, woodland, National Trust land with some fine views, a stretch along the Thames and a choice of pubs including The Bounty which is a very popular stop sitting on the towpath itself. COOKHAM AND WINTER HILL A circular pub walk including open countryside, woodland, National Trust land with some fine views, a stretch along the Thames and a choice of pubs including The Crown which overlooks Cookham Moor. COOKHAM AND WINTER HILL A circular pub walk including open countryside, woodland, National Trust land with some fine views, a stretch along the Thames and a choice of pubs including The Bel & the Dragon which appears in the Lucky dip section of the Good Pub Guide. COOKHAM AND WINTER HILL A circular pub walk including open countryside, woodland, National Trust land with some fine views, a stretch along the Thames and a choice of pubs and The Kings Ams is another that appears in the Lucky dip section of the Good Pub Guide.